R U OK? 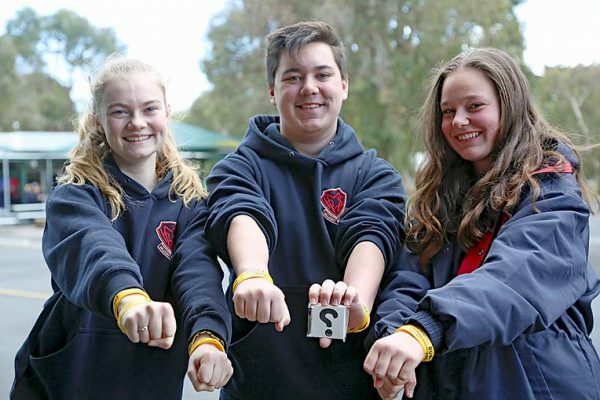 : Millicent High School Student Representative Council members Madeleine Fewster, Mason O’Rielly and Sally Sapiatzer demonstrate their support for life-changing conversations last week for R U OK? Day. MILLICENT High School students banded together last week to engage in life-changing conversations about mental health for R U OK? Day. Students donned wristbands and sported tattoos to demonstrate the importance of staying connected and having meaningful conversations to prevent suicide.